Torremolinos is a town in Malaga province that, in the last few decades, has become one of the most favourite holiday places on the Costa del Sol. And that’s no surprise. 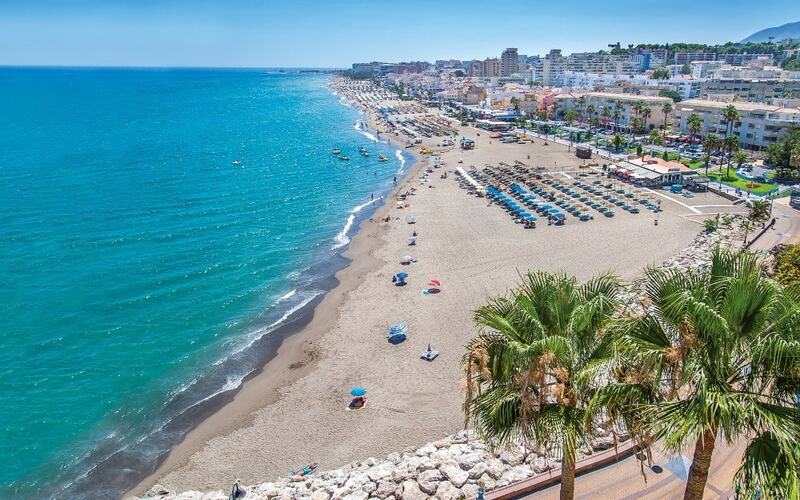 Featuring high-quality beaches, a varied and tasty cuisine, and a rich offer of leisure activities, Torremolinos has converted into one of the most loved holiday destinations on the Costa del Sol. The city is divided into various areas: the centre, the Paseo Marítimo, the Carihuela, the Álamos, the Bajondillo, the Pinares, Montemar and El Calvario. Take a look at what to see and what to do in Torremolinos to make the most of your visit in Malaga province. The area where Torremolinos lies has been inhabited since the Palaeolithic: for this reason, you can find Prehistory caves and a great number of archaeological settlements belonging to the Phoenicians, Romans and Arabs. The first appearances of the town were in 1489, when the Reconquista got to the province of Malaga. The texts that detail the distribution of the lands, an area called “los molinos de la Torre” (literally, the mills of the Tower) is mentioned. 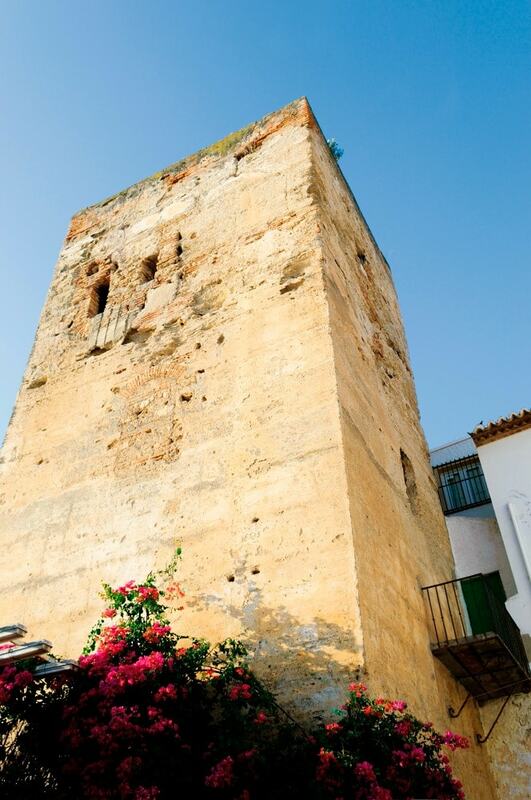 This piece of land became part of the city of Malaga in 1502, under the name of Torre del Pimentel, until 1924. Several petitions from Torremolinos inhabitants led to the constitution of a municipality on September 27th, 1988. However, the boom of Torremolinos occurred starting from the 1950s, and its fame reached its peak between the 60s and 70s. This was due to the choice of celebrities and famous people to set their (holiday) home here. The first ones were the Crown Prince of Denmark and his wife, who chose Torremolinos to spend their honeymoon in 1950. 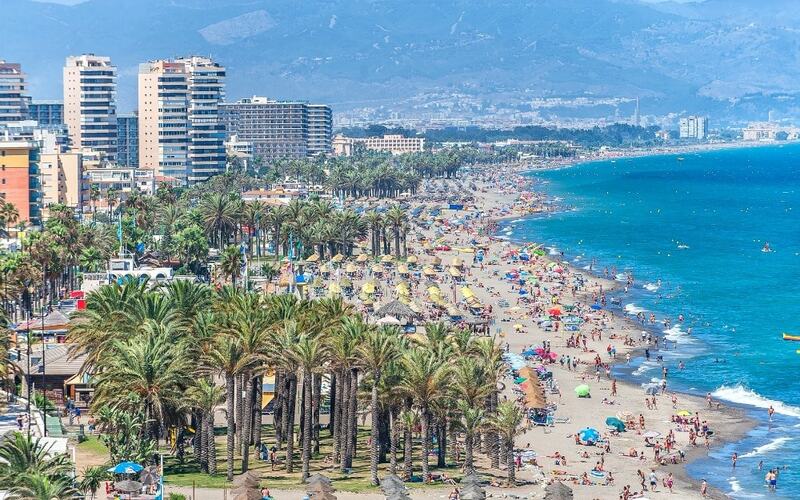 Why has Torremolinos become this famous on the Costa del Sol? 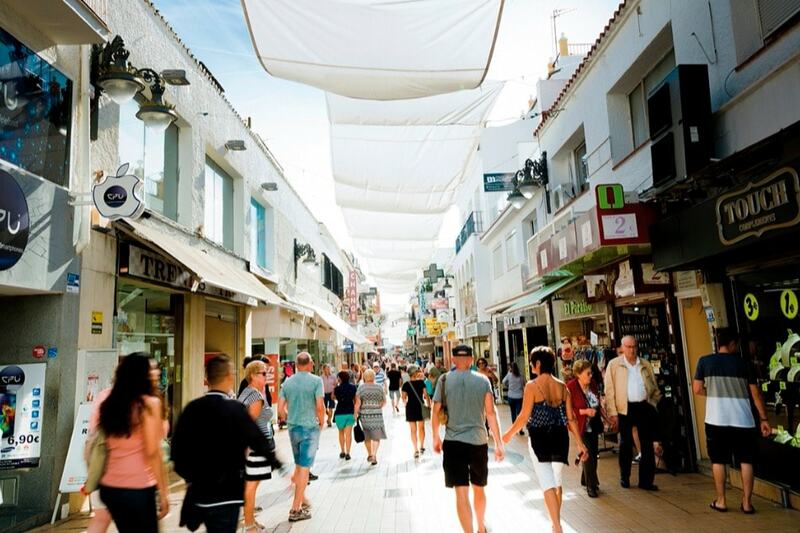 The fact that countless celebrities and VIPs have been choosing to spend their holidays here is the first and foremost reason why Torremolinos has become (and continues to be) an extremely famous holiday destination on the Costa del Sol. Directors, actors, writers, royalty-related people have been spending their free time here for decades. Among them, Nina Ricci, Salomé, John Lennon, Paloma Picasso and Salvador Dalí. The film director Orson Wells, actress Ava Gardner and singer Frank Sinatra, as well as Sofía Loren, Diana Dors and Geraldine Chaplin, are only some of these celebrities that have fallen in love with the Costa del Sol and Torremolinos over the years. Another reason for the increasing fame of Torremolinos is its closeness to Malaga. In fact, you can reach the capital of the Costa del Sol after a 20-minute drive via the AP-7, or with the Cercanías C-1, which takes you to the airport and Malaga city centre in just 20 minutes. 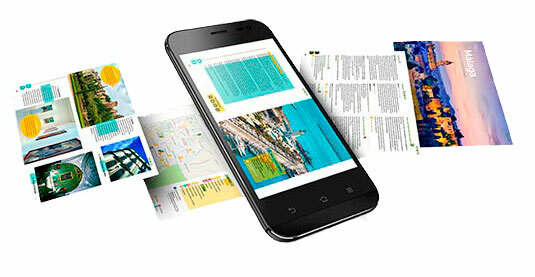 Besides, you can check the timetable of the interurban buses that leave from Malaga and stop in Torremolinos. Beach of Costa Lago: this urban beach lies between the Alamos beach and Playamar. It’s very much attended by young people, and it features showers and hammocks to rent. Beach of Bajondillo: another of the urban beaches of Torremolinos, and it’s flanked by the paseo marítimo, where you’ll find all kinds of bars and restaurants, as well as shops. Beach of La Carihuela: one of the best beaches in Torremolinos, this beach is ideal if you love to eat at a chiringuito, as the surrounding area is filled with gorgeous beachfront restaurants. Besides, these beaches are ideal to go with kids, as they’re not dangerous and the services offered will make it easier for you to enjoy a sun escape with your little ones. The street San Miguel is one of the European streets in which the highest quantity of people walk every day, and it’s the beating heart of Torremolinos. You won’t leave the town without having walked by its shops, restaurants and bars at least two or three times. This street leads from the 1300 Torre del Pimentel (also known as Torre de los Molinos), to which Torremolinos owes its name (in addition to the hydraulic flour mills that used to be part of the city), to the Paseo Marítimo El Bajondillo. 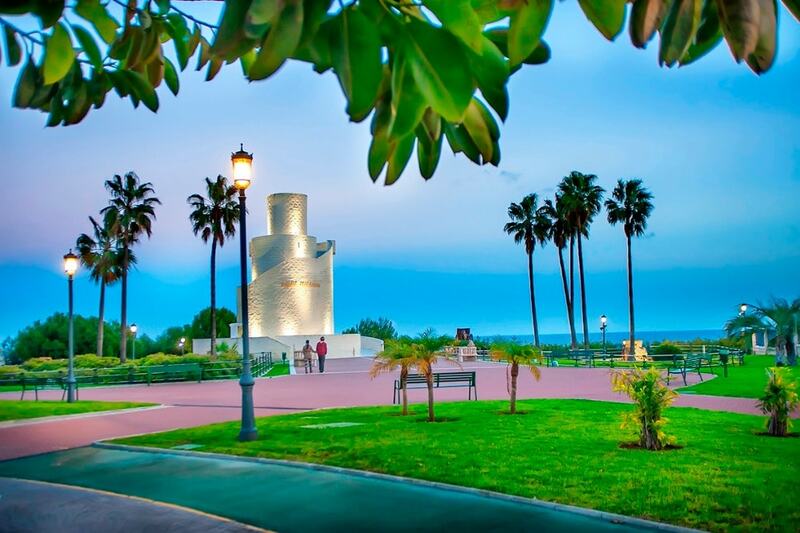 The biggest green area of Torremolinos is also a great spot to go if you look forward to relaxing and having a quiet walk. Discover its dreamlike hideouts, rent a boat and sail on the artificial lake: you can do it all in this park that owes its name to a coastal defensive set that used to be located here. You can visit the cannons and two underground bunkers. And if you’re on the Costa del Sol with your kids, know that this park is provided with a 650 sq-mt children playground. A free exhibition of predatory birds takes place on Monday and Wednesday, from 11.45 am to 12 pm. You can book your private exhibition (as it’s on request) by calling +34 952379416. In addition to the beaches and the Parque de la Batería, you can visit the Centro de Equitación el Ranchito, where you and your children will enjoy fantastic horse shows. Or else, don’t miss out on Aqualand and Crocodile Park, two amusement parks that your children will love! And in case you’re running short of ideas, check this post about what to do on the Costa del Sol with children. Ronda, Mijas and Marbella lie near Torremolinos, which allows you and your family to enjoy a fast one-day trip. Click on each town to discover what to do while there. To enjoy your Torremolinos getaway at best, you should try the tasty pescaíto frito in one of the chiringuitos of the promenade (the most famous being those on the beach of La Carihuela and Bahondillo-Playamar). Coquinas, paellas and seafood soups are also typical of the cuisine of Torremolinos. 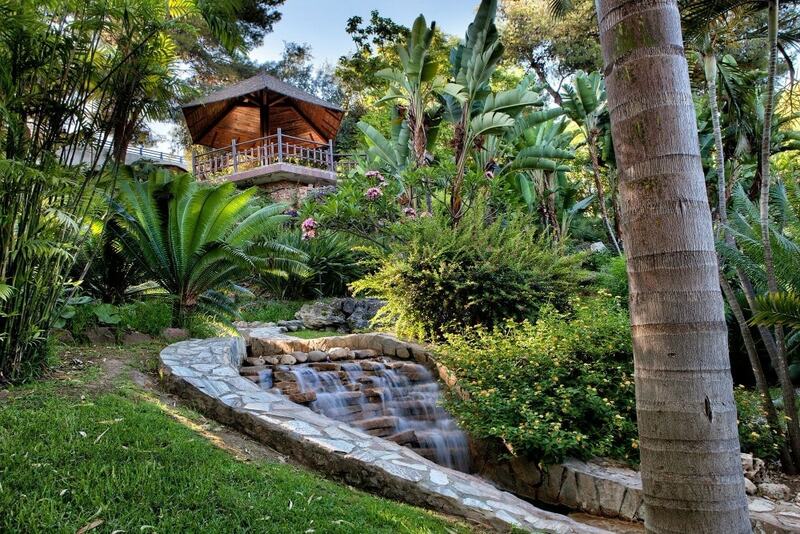 Location: Torremolinos is set in West Costa del Sol, 50 metres above sea level. It’s located very close to the airport of Malaga, from which it’s separated by just 5 km. Torremolinos relies on three tourist offices, located in the town’s most-attended spots. To enjoy your stay in this town at best, check out some holiday rentals in Torremolinos. Click on the button below to discover them all. Which is your favourite spot in Torremolinos? Do you think any other area of the town should be on the list? Tell us in the comments!